We are so excited to tell you all about our brand new Product the Learn-It™ – Your Learning Journal! Designed for YOU in mind if you love to attend Networking Meetings, Conferences, Listen to Podcasts and Watch Webinars then you DO NOT WANT TO MISS THIS! We are in the very beginning of a brilliant knowledge revolution. With so much information and learning within easy reach, there is no end to what you can achieve! On the other hand, we all know it is so easy to become overwhelmed, so how do we retain all hat knowledge and put it to work? As a seasoned Speaker and Trainer, I see the need for this book every single time I give a presentation, as we all need to guarantee our return when we invest time and money in ourselves with a webinar, attending a conference or a workshop. Plus, as a bonus, half the page is blank, for your notes and diagrams/drawings of key concepts. If you are creatively minded, this will engage both sides of your brain. For some learners, simply doodling improves memory. Write down key words. Doodle a little. Write some more. Yes, your elementary school teachers were wrong: when combined with listening and note-taking, doodling can actually help you learn! An action side of the page to write down the items on which you want to take action, and schedule time in your calendar to make it happen. Taking action is your key to success. You can think positive thoughts and attend all the speaking events in the world, but you won’t gain anything until you actually implement what you’ve learned. I designed the Learn-It to help you retain more of the fabulous learned information, as without notes and an action plan to refresh your memory, you almost immediately forget 50% of what you learn within the first 24 hours! Are you Local Pickup? Use the purchase button below. 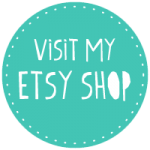 Outside of GTA go to our Etsy Store where we will be happy to help you!